Catalan Family Farms has been with Island Earth Farmers Market since it’s opening, May 15th 2009. 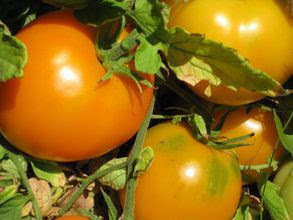 With their amazing organic berries and heirloom tomatoes it is no surprise that Catalan Family Farms has succeeded in both local farmers' markets and providing fresh organic produce to restaurants. The farm is located on 14 acres in Hollister, California. Maria Catalan started in 2005 as one of the first Latina farm laborers in the US to operate her own farm. Growing up in Mexico in the State of Guerrero, Maria’s grandfather taught her the skill of growing delicious foods in ways that respect the air and soil. Maria’s hopes are to pass on this same knowledge to her children. Currently the younger Catalans aren’t the only ones benefiting from Maria’s knowledge. Catalan Family Farms partners with local high schools and universities. Students live, eat and work on the farms in order to gain an appreciation for life in a Latin farming community. Maria is also working on a nonprofit organization she has started called Pequeños Agricultores en California. The goal behind PAC is to assist immigrant farm workers in gaining organic certification, by helping them with paperwork, applying for grants and loans, and other legalities that are difficult when there is a language barrier. From a single mother with four young children in a foreign country, to the first Latina organic farm owner in California, Maria Catalan is truly a source of inspiration. We invite you to try some of her fresh organic tomatillos, tomatoes, chilies, corn, watermelon or anything else at her stand inside Island Earth Farmers Market in the heart of downtown San Francisco and see where inspiration takes you! Welcome to the new Island Earth Blog, in which we'll be sharing our thoughts, tips, recipes, ideas, and reflections about our little market in the center of San Francisco. Island Earth is a 21st-century experiment: placing a diverse array of produce and food vendors inside the hypermodern Metreon is a decidedly odd juxtaposition, and while the result is certainly unique, we hope it will serve as a model for the re-use of outmoded urban spaces. Only time will tell. For now, we'll call it a great place to get a hot lunch and some top-notch organic produce in Downtown SF. Additionally, we'll be bringing you regular featurettes on our vendors, who, collectively, have some pretty amazing back-stories. Our first piece, on Catalan Farms, will be up shortly... until then, happy Summer to all!